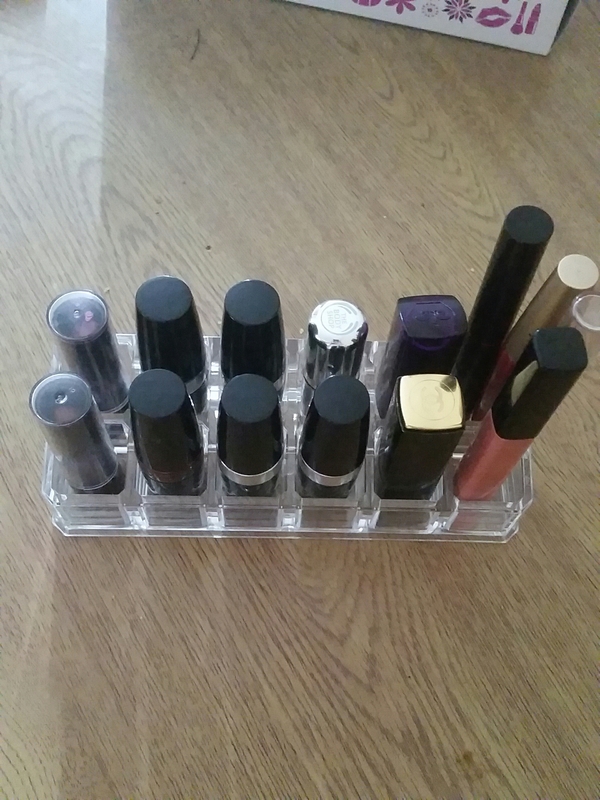 I don’t own my lipsticks or lipglosses but until a couple of weeks ago I didn’t realise quite how pathetic my ‘collection’ is. In fact I have more tins, tubes and tubs or lipcare product than of colourful delights. And to make matters worst most of them are now several years old but luckily where they are stored means they are in mean they are in tip top condition. I used to be a sales representative for Avon and therefore I got free and discounted products as well as ones I ordered and then people decided they didn’t want before I delivered to them. So a lot of my products come from Avon but only because of that (otherwise I would have even less). In fact I expect most of the ones I have aren’t even for sale anymore but I’ll still pop up reviews about them and when possible provide you with links. I’ll probably be focussing on going through them for the next week or two but there might be the odd post inbetween if something exciting pops up! 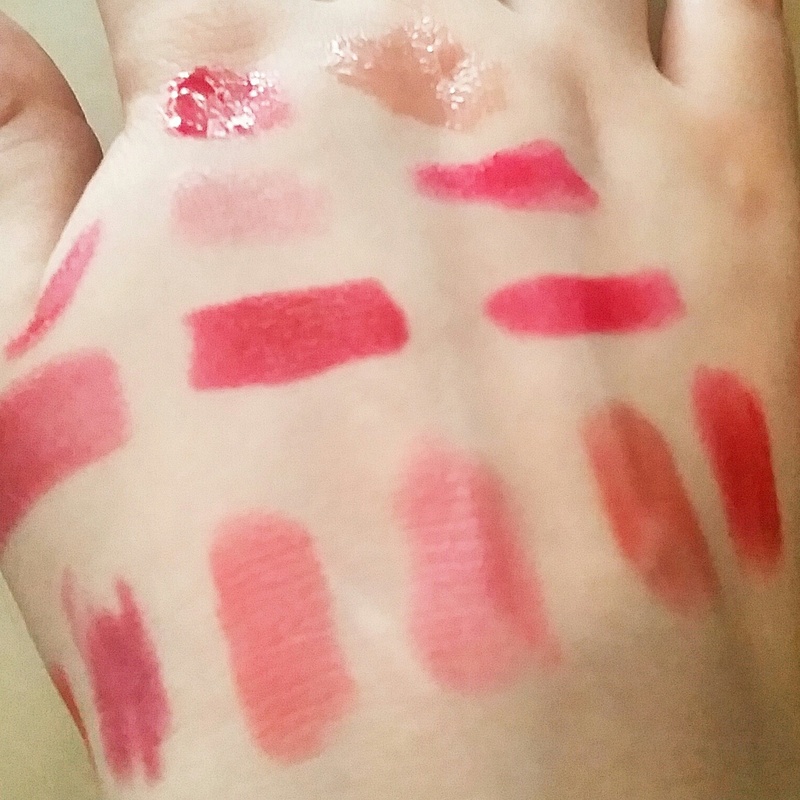 Also I did all the applying to lips in one day so I am wearing the same clothes throughout but obviously haven’t worn them for two whole weeks (eurghhh!). It also meant that I had to put some serious lipcare products on afterwards as all that lip cleaning took it out of them. Whenever I look at this lipstick as a block colour I always expected it to be really shiny and it look completely unsure on what colour it wants to be when applied to the lips. I’m also doubtful because I know how cheap it retails for and know some cheap ones have horrible textures. But they are actually really easy to apply and creamy. It doesn’t tend to bleed off as well which I think is so important for any lip product that isn’t a really natural shade. I actually love this lipstick so much. I massively lack self confidence so I struggle to imagine myself leaving the house in it but perhaps by the end of autumn I’ll just about manage it. It applies much more as a red than the purple that the pre-applied colour might suggest. Whilst this is great for the colour and texture of the product because it is so cheap you might have to reapply a few times throughout the day to bring it back to life. I find it doesn’t dry my lips out but I can imagine a few people having difficulty with it as it does smell very chemically and harsh. Avon do still seem to still actually sell this lipstick although the packaging has unsurprisingly changed a lot since then. Overall, compared to some others I have used and own, I would have to give this a three out of five. 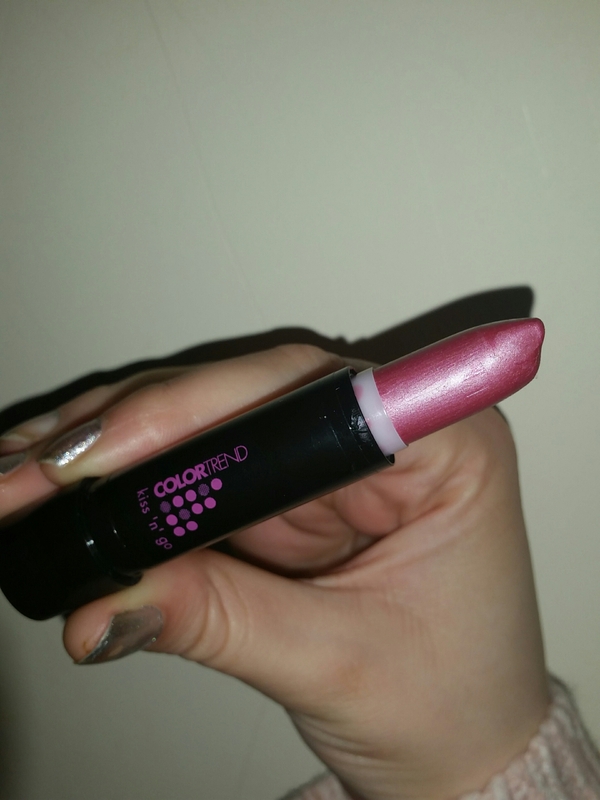 It is a good product and nice colour but doesn’t last too long and isn’t the best textured lipstick I have ever used. It lacks the wow factor but for the price it is pretty hard to complain! 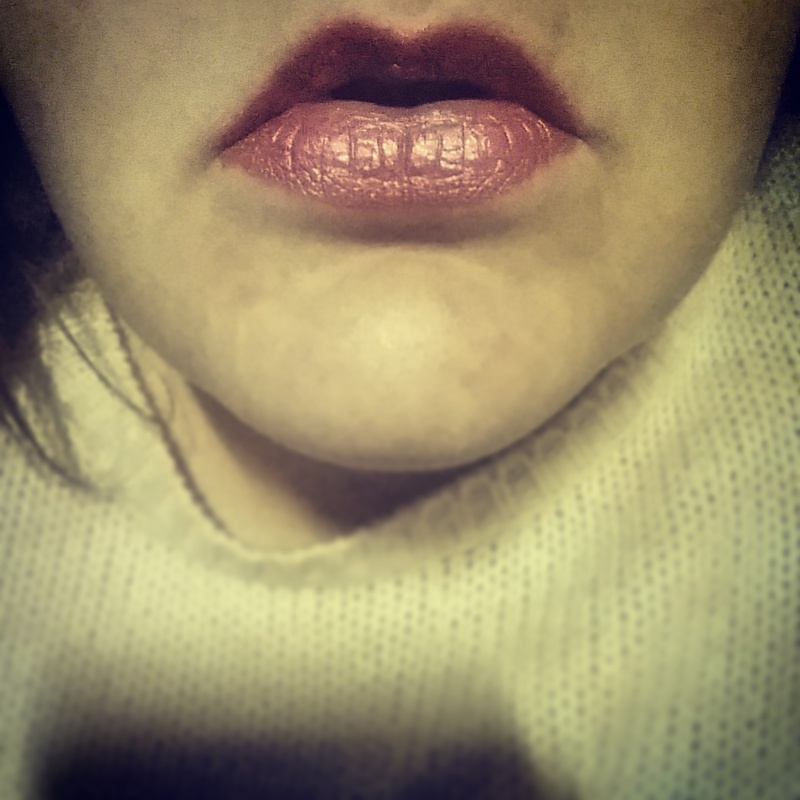 This entry was posted in Beauty, Make Up and tagged autumn, avon, bblogger, bbloggers, Beauty, beauty blogger, beauty bloggers, beauty product, beauty regime, daily look, deep red, depression, lblogger, lbloggers, Lifestyle, lifestyle blogger, lifestyle bloggers, lips, lipstick, lotd, love, Make Up, motd, red, selfcare, simple, winter. Bookmark the permalink. That’s beautiful! Purple lipstick is very on trend right now, and although it applies more red like you say, it’s still a nice,wearable variation on the purple theme.